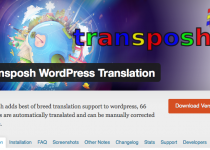 Tutorial and code snippet to prevent Transposh WordPress Translation plugin from translating your Genesis framework SEO Site Description, using the genesis_seo_description filter. You are using the excellent Genesis Framework from StudioPress, you have set up a Custom Post Type but – when viewing a single Custom Post Type post – you notice that the Genesis Breadcrumb trail shows the Custom Post Type as plain text, rather than as a clickable link. This quick tutorial shows you how to fix this. Tutorial and code snippet to prevent Transposh WordPress Translation plugin from translating your Genesis framework SEO Title, using the genesis_seo_title filter.